Complete Pet Care is here for you 24/7 to care for your pets. We always have a doctor on call if you have an emergency outside our regular operating hours. If need be, we also partner with other institutions in the area when an illness is best cared for by a team approach. Contact us today to discover how we can help with your emergency pet hospital needs. Regardless of how much training your pet has, they’re still animals. And sometimes they don’t understand that they shouldn’t run, jump or fly in a dangerous situation or eat something that’s possibly poisonous. If you do end up with a sick or injured pet, our team at Complete Pet Care Animal Hospital is available and ready to quickly respond to any emergency. 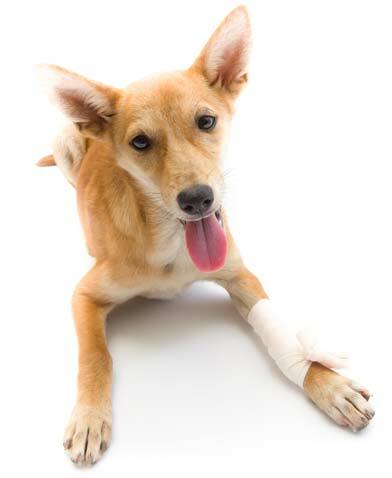 We provide high-quality treatment for pet injuries at both our Raleigh and Wake Forest locations. Our experienced veterinarians have seen and treated it all — from leg injuries to tail injuries and everything in between — and nothing stops us from providing your pet with the care they need when they need it. Our ultimate goal is to send your pet happily on their way back home with you! No pet injury is too big or small to treat. Whether it requires minimally invasive surgery, major surgery or a few stitches, you can rely on your Complete Pet Care team to provide the best care available because of our experience both as medical professionals and as pet owners.